Diplomatic Fallout: Can Nigeria and Turkey Serve as Regional Policemen? Can regional powers replace the U.S. and Europe in policing perennial trouble spots such as the Middle East and West Africa? Or are their own weaknesses going to create new problems for the West? Recent events in Turkey and Nigeria have illustrated the dilemmas involved. Both countries have faced very different internal security challenges in recent months. Nigeria has tried to extirpate the Boko Haram Islamist rebel group with a major military offensive in the northeast of the country. 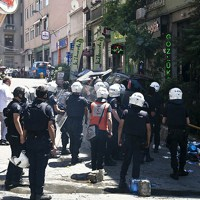 Turkey has made a mess of handling widespread public protests stemming from arguments over a popular park in Istanbul.